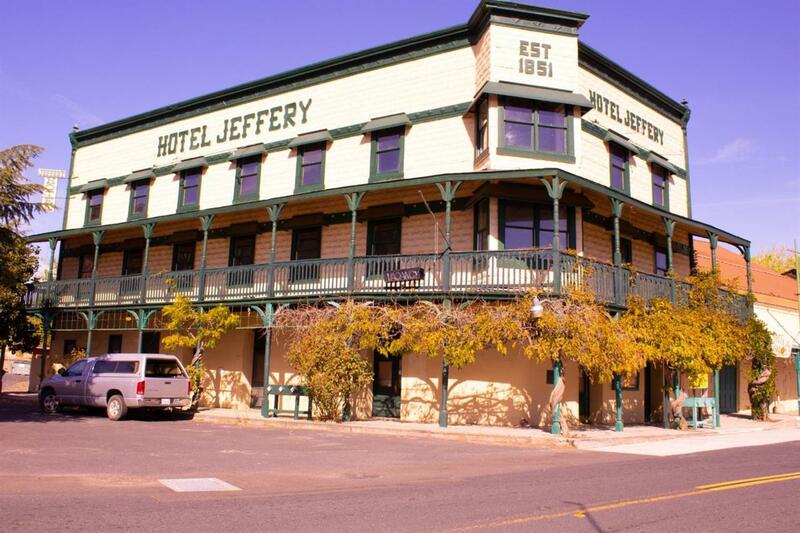 Historic Hotel Jeffery, Coulterville,CA is being offered at a historic low price. 11 room hotel, the Magnolia Saloon & Grill seats 60, lrg event room, retail space, private apartment,FFE, type 47-Liquor License, kitchen ware, antiques. RENOVATORS: owner to sacrifice and let go. New Roof, exterior cladding, AC, electrical, plumbing, sprinklers well under way . Bring your tools, complete this grand structure, tap into Yosemite National Park traffic, AIR BnB & the Mother Lode Gold Country Life.